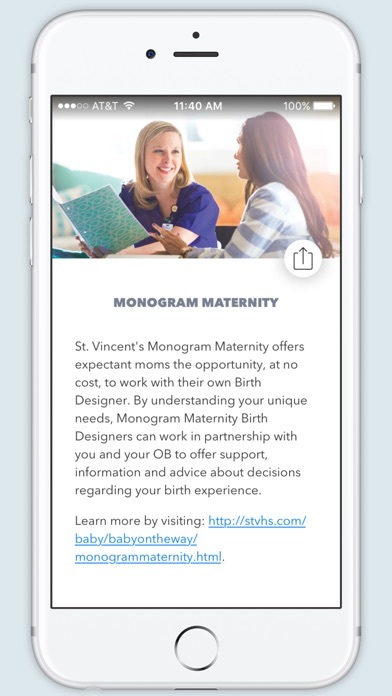 The Monogram Maternity app is perfect for the mom-to-be who is on the go and wants to be well prepared for every stage of pregnancy. 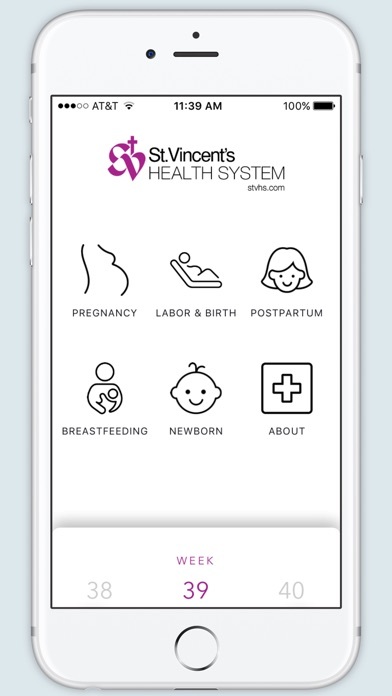 The Monogram Maternity app is just one of the many amenities we offer moms-to-be at St. Vincent’s Birmingham and St. Vincent’s East. Monogram Maternity provides one-on-one support to help you decide how you want your birth experience. We offer a wide range of services, including the Monogram Maternity app, your own Birth Designer, educational classes, lactation consultations, the Blessed Beginnings Boutique and special discounts on spa services and more. 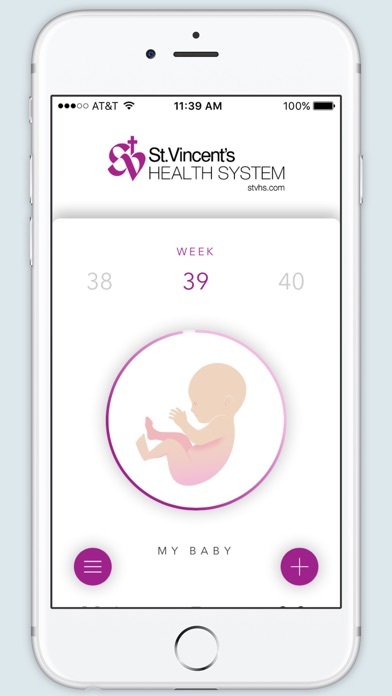 As you make decisions about your birth experience use the Monogram Maternity app to help you track and follow your baby’s development and how many weeks along you are. Receive weekly tips from St. Vincent’s Monogram Maternity and occasional updates from our Baby Blog. Use the app to keep track of appointments, log your daily symptoms, weight and waist measurement so you can easily discuss those and other medical related questions with your doctor. 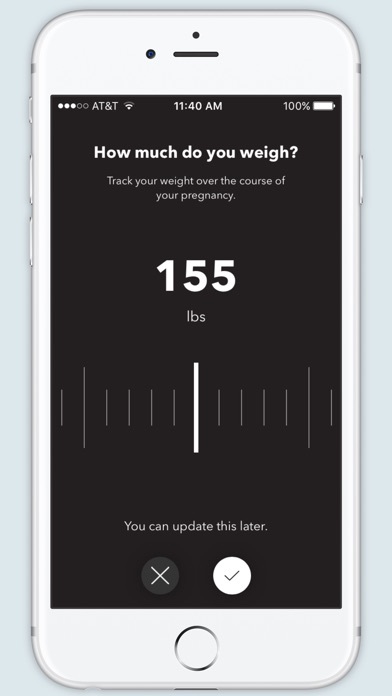 The Monogram Maternity app has a journal you can use to document this amazing journey and to record questions or birth wishes you want to discuss with your Birth Designer. The animation and videos give you valuable knowledge and tips from pregnancy – to birth- to your baby’s earliest months. Throughout this journey, we’re here with you every baby step of the way – empowering you to create the birth experience YOU want. 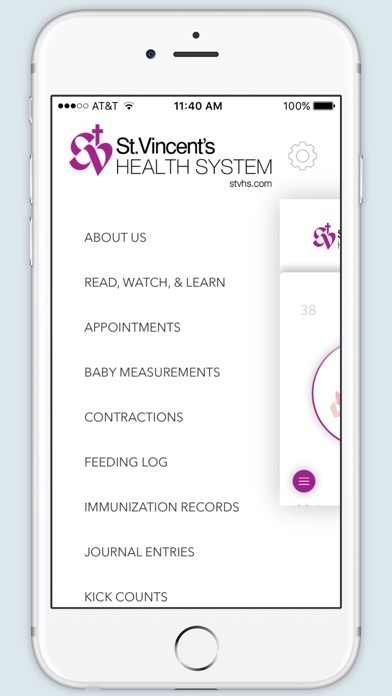 For more information about St. Vincent’s Monogram Maternity visit IDecideHow.com or call 205-212-MOMS for our St. Vincent’s Birmingham location and 205-838-3278 for our St. Vincent’s East location.